Take a moment to read about our various performers, and view the line-up to get an overview of when and where they will be performing. Nadia Chaney believes the sublime centre of the universe can be found at the heart of every moment. 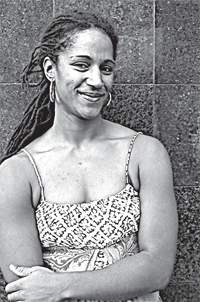 She works as a poet, emcee, writer, arts- empowerment facilitator, social justice activist, and writing coach. Beth "Buzy B” Allen first developed a love for jazz while working as baker in Calgary. Spending every morning listening to jazz radio on the local university radio station and hearing new voices like Dinah Washington and the work of Monk and Coltrane helped her love of music grow. She has a music diploma from Vancouver Community College where her major was Jazz/contemporary vocals. Whether she is just singing along over instrumentals or to her own self-produced beats, her love of music is always evident. Her style of DJing is not based on beat mixing but more the blending of songs and she moves seamlessly from hip hop to soul to reggae to funk to rock to jazz. Buzy B is active in the Vancouver community, having lent her DJ skills to events such as Sistahood, The People’s Prom and Oddball. Ora Cogan is the daughter of a popular Israeli folk singer and a photo-journalist. She began to write her own songs at the age of 12 and in her adolescence taught herself to play guitar, violin, piano and dulcimer. Under the influence of old American and Middle Eastern records, she began to develop the haunting style of her songs. She is often compared to artists such as Devendra Banhart and has shared stages with the likes of Tanya Tagaq and Vashti Bunyan while immersing herself in the festival circuit. She has collaborated with folk and experimental artists alike and she co-founded both Her Jazz Noise Collective and Cornerstone (an acappella gospel quartet). Ora’s latest album “Harbouring” was released on Borne Recordings in October ‘08 and a lengthy tour throughout Spain, Portugal, Austria, Poland, the Czech Republic, and many other countries followed. For the past 18 years, Under The Volcano has been honoured to have members of the George family participate in our event, which takes place on the traditional territory of the Tsleil-Waututh Nation. 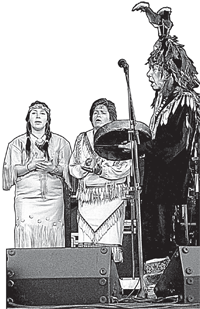 Our relationship began in 1990, when Chief Dan George’s son, Bobby George, was invited to be a speaker by the Festival’s founder Irwin Oostindie. In 1993, then Chief Leonard George & Children Of Takaya presented us with a welcoming address and went on to become a festival mainstay. The Cultural Medicine Cabinet is a non-auditioned free community choir dedicated to responding and calling out songs of political struggle, spiritual journey and upliftment. Born out of a desire for reconnection to our voices as a shared experience of healing, the Cultural Medicine Cabinet sings both for enjoyment and communicating collective social change. We actively support community causes, using the beauty and power of song in public places. to an alternative soundtrack, out would come Khingz. Known for his high energy performances and versatility, his rapid spitfire delivery, heart-filled thought-provoking lyrics and infectiously thriving beats, Khingz has been motivating crowds for well over a decade across the country. He expresses his views and his culture, without abandoning language, and without distorting his message, and he uses an ingredient that is both the most important and the most neglected in rap -- intelligent articulation. He has shared stages with many hip hop greats including Talib Kweli, Lupe Fiasco and K’naan. Khingz often rhymes alongside emcee-partner Gabriel Teodros, combining to form the dynamic duo- Abyssinian Creole. His highly-anticipated solo album the recently released From Slaveships to Spaceships is a testimony of transformation, a voyage through time and space, and a continued search for freedom of mind. Get ready to kick it with one of the Pacific Northwest’s most conscious and fierce MCs. to clubs, stadiums to protests, and prisons to street corners. He’s performed alongside the likes of Zap Mama, Fishbone, KRS-One, Digable Planets, Souls Of Mischief, Kanye West, Lupe Fiasco, Ozomatli, The Coup, GZA/Genius, Aceyalone and Bahamadia. Since the release of his solo joint Lovework (which reached #1 on the CMJ Hip Hop Charts), Teodros has released 4 music videos, was featured in URB Magazine’s “Next 100”, and has received rave reviews everywhere from Rolling Stone to Okayplayer.com. An ally of UTV for many years, we are proud to have Teodros on our Mainstage this year! Mixing together the best of Gypsy, Russian, Ukrainian, klezmer and Balkan musical traditions, Chervona brings the fire of Eastern European carnivals to North America. Described as an International Nuclear Folk band, this unique multicultural ensemble has Russian, Armenian, Jewish, Italian, Brazilian, German, Argentinean and Kazakh roots. Three of the band members are immigrants from the former USSR. The Portland, Oregon band started in November 2006, and rapidly gained popularity in their hometown. They have shared the stage with Manu Chao, Gogol Bordello, The Decemberists and many other acts. In addition to countless street and club performances, they’ve played many big stages, including the Northwest Folk Life Festival in Seattle, the Slavic Festival and Oregon Country Fair in Eugene, the Red Marines Festival in California and countless others. Chervona's repertoire includes traditional hits from the late 19th century with Gypsy, Russian and Eastern European flavors. They also adapt pieces from a number of cultures and constantly compose original material. Singing in English, Russian, Spanish and German, their songs have been described as "funny, sarcastic, educational, socially conscious and beautiful." UTV is proud to present Mecca Normal as they celebrate their 25th anniversary. Lester is a well-respected visual artist with 25 years experience and Smith is the author of two published novels and the recipient of two Canada Council for the Arts Awards as a professional writer of creative fiction. The UBC Girlz Bhangra Team is a dynamic, high energy dance team, which has taken both Canada and the United States by storm over the last 6 years. They have helped revolutionize and raise the bar for women’s bhangra, as one of the first all-female bhangra teams to enter the competition circuit, and earn top placements at heavy weight competitions such as Bruin Bhangra, South Beach Bhangra, VIBC, Zee TV, Bhangra Blast and many more. UBC Girlz Bhangra Team is recognized worldwide in the South Asian and mainstream communities, after performances at numerous community fundraisers and entertainment shows. This team is a representation of the strength and pride of Punjabi women and women everywhere, who have risen over the trials and tribulations that have come their way with their heads held high. Here's the deal: Invincible is one of the best MC's in the U.S., as many will tell you, gender notwithstanding, though the odds are stacked against her: 1. She's a woman working in a male-dominated genre (As she puts it in "Looongawaited": "I'm striving to be one of the best, period/ Not just one of the best with breasts and a period." ) and 2. She's overtly political, and politicking in a pop world often spells failure. After immigrating to Michigan from Israel at the age of 7, Ilana Weaver, aka Invincible, gravitated towards hip hop as a way to learn English. By the time she was in high school, she had begun to build her reputation as an MC, performing at open mics and throwing events in abandoned buildings around Ann Arbor and Detroit. Her passion for hip hop eventually led her to New York at age 16, where she linked up with the famed underground, all-female aNoMoLies crew. During that late 90's NY indie boom, Invincible was able to build ties with like-minded progressive artists and continue to perform with aNoMoLies. After turning down numerous lucrative major label offers that tried to tout her as the "female Eminem" (XXL Magazine dubbed her "every A&Rs worst nightmare" for rejecting these deals) Invincible moved back to Detroit in 2001 and began focusing more on her own music as well as her activism. In 2008, after more than a decade in the game, her full length album "ShapeShifters" was released on Emergence Music (her self-owned fair-trade, cooperative economics-based label). The unrelenting MC tackles issues like emigrating Invincible is one part MC, three parts from Israel at a young age, on-going gentrification in revolutionary, but the recipe is all hip hop. Detroit and also offers her cutting dissections of racism and - Shook Magazine sexism. With beats by fellow Michigan family like Wajeed, House Shoes and the Lab Techs, Invincible fashions a hard hitting musical landscape that fills the low-end nicely as she tells her story. Invincible is also one of the rare, vocal pro-Palestine MC's in hip hop today. Because of her Israeli-American heritage, her perspective on Israeli-Palestinian relations take on a much more authentic tone than any other Join Invincible and local artists in a pre-UTV ay MC today would probably care to deliver or handle. 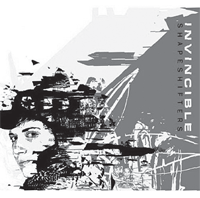 When questioned as to the significance of the title of her album, “ShapeShifters”, Invincible explains “it has to do with the concept of self transformation and how that's connected to transforming our communities, our struggles, being able to transform that through transforming ourselves." Invincible dedicates much of her life to grassroots activism for community change, mainly through Detroit Summer, a grassroots non-profit that addresses the city's dropout crisis and develops youth leadership through hip hop and media campaigns. In the summer of '07, she went on the Youth Solidarity Network delegation to run similar workshops for Palestinian youth in the West Bank. Her involvement with the non-profit has helped her use her skills and hip hop as a way to speak to and organize youth around community issues. Rather than having her music and her community involvement exist separately, Invincible makes a conscious choice to mix those ideologies into her music, while still making sure the beats are hard and the rhymes match. Truly a revolutionary in both thought and action, Invincible continues to be a beacon of hope for hip hop and her community as she leads by example. Invincible is one part MC, three parts revolutionary, but the recipe is all hip hop. Join Invincible and local artists in a pre-UTV workshop, film screening, and show on Friday Aug 7th. It’s been 10 years since Toronto collective LAL began as a collaboration between vocalist and poet Rosina Kazi and producer Murr. Their sound from the outset was one of contrasts: icy, futuristic rhythms melting into warm basslines and soothing soul melodies, with reverberating atmospherics whirling about the spacious groove. 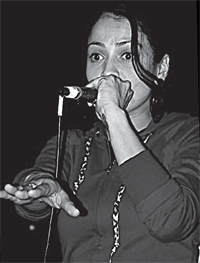 Hints of Rosina’s South Asian roots and Murr’s hip hop formation seasoned their productions with a taste of tradition, and they built their reputation on phenomenal live performances and a commitment to social justice. In the early 2000s, they created two politically charged and critically-acclaimed albums, Corners (2002) and Warm Belly High Power (2004). The latter was proclaimed Best Soul Album by Exclaim! 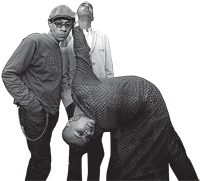 Magazine during a period that also saw the most significant change to bless the group to date, which was the addition of bassist Ian de Souza as a permanent member. De Souza, who has recorded the likes of Rwandan singer Jean-Paul Samputu, Jesse Cook, and his own Sisters Euclid quartet – is now a primary LAL composer. 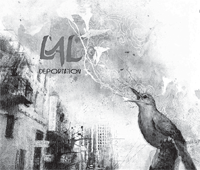 Inspired by the events surrounding Sept.11, 2001 and its fallout -- the rise of a cloaked surveillance state, thicker lines drawn around who is “legal” and who is “not”, and most particularly by the fate of several deported friends, LAL created their most provocative and fully-realized album to date, Deportation (2008). The record’s title had been lingering in Kazi’s head since Queen Nzinga (a.k.a. Wendy Maxwell), a fellow artist and activist was arrested and deported to Costa Rica on International Women’s Day three years ago. The album is a personal treatise on migration and movement, a challenge to militarism, dangerous love, and the stories of those silenced by (il)legality, all threaded together with dub poetry, soul, folk, roots, jazz and a definitive dancefloor aesthetic. Their dynamic live show is a testament to the glorious exploration of the depths of humanism – building community while ripping apart words, notes, and rhythms, eyes open to the injustice that burrows deep into the fabric of society, and hearts burning with the fire for justice for all. Join LAL in a spoken word workshop (registration limited) and post-UTV party with talented local hip hop and spoken word artists on Tues Aug 11th. When you think about “heat”, the San Francisco Bay Area is not the first place that comes to mind. But when you think “DJ heat” the “Yay Area” is exactly where to find it. And it lays claim to one of the nations most recognized female DJs, Pam the Funkstress. As one of the true pioneers of female DJs, the hip hop community has embraced the Funkstress for more than a decade, not only as a club DJ but also as a performing artist. She busted out on the recording scene as a member of The Coup in 1993 with their debut album Kill My Landlord. Filling a political underground void, the East Oakland based group earned critical acclaim by following up with Genocide and Juice (‘94), and Steal this Album (‘98). But it has been her commitment to underground DJs and the music they embrace that has kept her fans scouring record stores and trade publications for the latest cuts and dirt on their favorite DJ. To call Pam the Funkstress a DJ/Recording Artist would be negligent. She is also an advocate for female independence and the pursuit of civil rights. College campuses frequently invite her to speak at symposiums and on panels to spread her message of success by self-reliance to the next generation. The Funkstress has been featured in Rolling Stone Magazine, 4080, Rap Pages, Ms., Fader and Wired, just to name a few. Known for cuttin’ the wax with more than just her hands, she has been asked to grace the opening stage for the elite in rap music. From KRS-One to Grandmaster Flash, Pam the Funkstress has answered the call of duty to get the crowd fired up. From East to West, from studio to stage, Pam the Funkstress lights up the tables and always leaves the party smokin’. And where there’s smoke, there’s fire. And where there’s fire, there’s…HEAT!! UTV is excited to present Pam as our closing DJ for 2009! Legally Blind is an agitational-propaganda quartet with diverse musical talents, focusing on local struggles within Coast Salish territories. Band members are also part of social movement activism and see themselves as part of a community of mutual aid, do-it-yourself culture, solidarity and struggle, rather than a dog-eat-dog industry of profit before people and art as commodity. Their current release “Best Before 2010 EP” expresses solidarity with indigenous struggles, Olympic-sized resistance, and a requiem for the rapidly-gentrifying Downtown Eastside, albeit contained within a well adjusted sense of modesty and satire. Legally Blind is honoured to be playing on Tsleil Waututh territory. Representing the Musqueam and Tsleil-Waututh Nations, Christie Lee raps in her ancient Musqueam dialect and spreads messages that relate to aboriginal youth, culture, and teachings. She works in youth engagement for the Knowledgeable Aboriginal Youth Association ( KAYA) and is in the aboriginal studies program at Langara College. 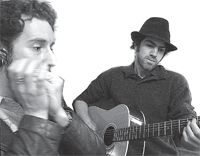 HAM is a finger-pickin’, foot-stompin’, harp-blowin’ roots blues duo out of Vancouver. Drawing influences from the old masters and innovators like John Hurt, Muddy Waters, and Robert Johnson, their music tells rich tales of midnight trains, black cat bones, highwaymen and a time when song was a simple expression of the soul. Shawn Hall (aka ‘the harpoonist’) grew up in Toronto, immersing himself in the local blues scene and eventually forming the band Tied to the Tracks. Leo-award winning composer Matthew Rogers (aka the axe murderer) grew up copping licks from his father’s collection of BB King records. 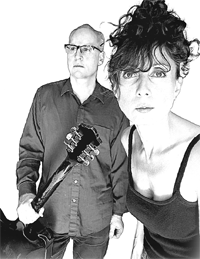 Both have since become renowned producers working with Mark Berube, Tamara Nile, Dirty Bottom, Gordie Johnson, CR Avery and the Vancouver Symphony Orchestra. Together they have returned to their roots and the roots of the music that surrounds us everyday. Joe Shimeld, Shawn Bristow and Joel Tong are What's Wrong Tohei? Three gentlemen of East Vancouver performing loud, up-tempo, punk rock songs dissected and reassembled in a jarring fashion. UTV regulars will certainly recognize the name “Joel Tong”, as he’s performed both as a solo artist and with his (in)famous band Black Rice in the past. One of the most enduring and high-energy showmen in Vancouver’s indie rock history, he’s now joined by members of Safety Show and Robosexuals in this new project. This is high volume problem solving served with anxiety. Expect to sweat. Scruffmouth is a spoken word artist and the 2008 Grand Champion of the Vancouver Poetry Slam whose style is influenced by hip hop and dub poetry. His work deals with the Black experience throughout history and connects the dots of the past, present and future. Scruffmouth is currently collaborating with artists and musicians to record his album. He is also planning future events as creative director of the Black Dot Roots & Culture Collective, a group of artists and professionals committed to the education, creation and celebration of the Black experience at home and abroad. Xela, also known as Cihuatl-ce, is a Los Angeles MC who urges youth (specifically inner city youth) to invoke their inner strength for the betterment and preservation of Tonantzin (Mother Earth). Formerly of Cihuatl Tonali (a collective of Indigenous community and cultural activist women that expressed their passion for social justice through music) she now rocks mics as a solo performer. Her passion for social change is felt within the energy and urgency of her lyrics. 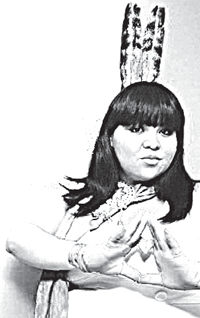 Educating while empowering and uplifting, she fuses hip hop with Indigenous sounds in an effort to share some of the ancient teachings that remain after 515 years of colonization, so that these teachings continue to be passed on. Xela is currently involved in The All Revolutionary People’s Voices Tour, organized in solidarity with South Central Farmers, All African Revolutionary Party and other activist groups. Counted among her many allies are two of Volcano’s all-time favorite artists: Olmeca and Aztlan Underground. Expect her performance to rival theirs: raw, uncensored and fierce! Purple Rhinestone Eagle formed in the summer of ‘05 in West Philadelphia. To the astonishment of a scene that generally associated female musicians with power pop and folk, the band turned many heads with their big bold rock-n-roll sound and energetic live performances. They quickly gained a dedicated following in the DIY Philly/NY scene but then relocated to Portland, OR in the fall of ‘07. Musically and stylistically, the band draws inspiration from the heavy “tripped out” sights and sounds that came out of late 60s and early 70s rock-n-roll. Socially, they are motivated by the DIY ethics of early punk, and their lyrics cross a wide terrain of subjects, often delving into the mystical and metaphysical as well as the political. The band is currently writing a full length album due to be released winter 2010. - Portland Mercury, March 2009. The Lonesome Valley Singers, led by “misfit fiend turned haggard crooner” David Chenery have been described as Canada’s weirdest band. Since forming in 2004, the death-country originators have accumulated a loyal fan base of folkies, country, bluegrass and blues aficionados, punks and degenerates. Merging old-time country sensibilities with the dramatic underpinnings of punk rock, cabaret and folk noir, the band has released two acclaimed records and have shared the stage with The Sadies, Nathan, Hank & Lily and the Pack A.D.
A volunteer and performer at past UTV Festivals, Hari is excited to be co-hosting the Malcolm Lowry Stage. 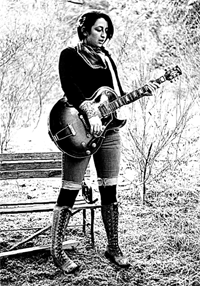 Kathleen is a singer-songwriter, multi-instrumentalist, circus wannabe and word-spinster who loves to weave stories into joyful and meaningful shared experiences. She currently co-hosts The Lesbian Show for local community station Coop Radio and plays solo and with bands around town. Cynthia Oka is a young poet of colour, single mama and community organizer of East Asian descent who is currently residing on unceded Coast Salish Territory. Tracing her roots to the Chinese, Javanese and Balinese warriors who fought against Dutch colonization in her homeland of Indonesia, poetry for Cynthia has been a vital element for survival, and a measure of our power to create beauty, vision and possibilities for liberation. Probably will be always a hick from Fullarton township. Began to write, sing and eventually stood to speak poetry as one way to witness the everyday and critique oppressive conditions. Poetry revealed a path through anxiety and creates opportunity to reconstruct a dominating language. Cecily grows flowers. She is a member of the No One is Illegal Vancouver collective, a worker for nine years with the Downtown Eastside Women’s Centre, a researcher and facilitator. Carlo is a founding member of the Filipino-Canadian Youth Alliance BC, helping to raise consciousness among Filipino-Canadian youth, through social justice campaigns and legal rights and anti-racism education. He is active with the Sinag Bayan Cultural Arts Collective, a Filipino-Canadian group that combines performance, theatre, song, spoken word, and visual arts to promote community development and empowerment towards the genuine participation, settlement and integration of the community. Mia Amir is a writer, poet, vocalist, facilitator, educator and community organizer who has lived most her life in Vancouver, BC, unceded Coast Salish Territory. Amir was the 2007/2008 Artist in Residence at neworldtheatre. 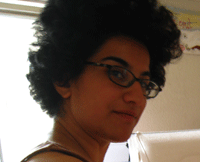 She is the writer and producer of The Map To Zochrot an interdisciplinary performance piece on Palestine/Israel, recently mounted as part of the 2009 Sistahood Celebration. amir Co-Coordinates the Surrey Urban Youth Project – an arts-based anti-oppression, empowerment and community organizing training for youth in Surrey, BC. Crystal Smith is T'simshian and Haisla from Hartley Bay. She is 18 years of age and has been writing for 6 or 7 years. She has a big family, which contains 2 younger sisters and older sister as well as 2 older brothers and her mother, all of which support her and sometimes inspire her in her writing. Growing up in a small town she was introduced to racism and a will to fight it. So with that will she writes about numerous issues, mostly involving the aboriginal people. She also has a love for nature and like to share that love through her poetry. However as her wisdom grows she has found other issues which need to be known more, particularly about child soldiers. Therefore she has created a zine just for that cause. Crystal also has been published in magazines, on the internet and created several self published zines. On June 27th, 1987, Wong Wing-Siu was critically injured and buried alive in the wreckage of an aircraft for 12 hours while awaiting rescue. Of the 5 core human needs: food, water, shelter, warm, and family. He was only able to satiate the need for one of them: the need for family and the need for connection to those he loved. He told himself stories to stay alive. Richard Light is an Aboriginal poet from the Nuxalk nation. He has been involved in community and youth projects for the past 3 years, and brings the serious side of topics to the stage each time he performs. 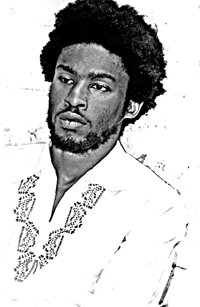 Junie Désil is a Haitian-Canadian writer. Born in Montréal, and now living in Vancouver, Junie has performed at Under The Volcano, Vancouver’s International Storytelling Festival, and other venues. Her work has appeared on CBC’s Definitely Not the Opera, and in various other print media. Junie currently works in non-profit. Due to poor weather, UTV had a much smaller turnout than expected & we are humbly requesting donations from our supporters. Download the UTV Program (PDF) to take a look at additional art, editorials and information. Valet Bike Parking ~ Vancouver Area Cycling Coalition will be offering valet bike parking at the top gate (west gate) from Noon onwards. Driving to the Festival? Ride-Share! If you can't take public transit, offer a ride in your vehicle, or find a ride to the Festival.